When John O’Neill invited me to write article about my collection of sword and sorcery stories, Mad Shadows: The Weird Tales of Dorgo the Dowser, for the Black Gate blog, I was naturally thrilled and honored. I was also somewhat uncertain. Where do I begin? What should I say? So I asked myself… why not first tell readers something about your book — the world of Tanyime, the kingdom of Rojahndria, the city of Valdar, and its main character — and then talk a little bit about how it all came to be? Well, here goes. Mad Shadows is a picaresque novel — six interconnected sword and sorcery tales featuring Dorgo the Dowser, a sort of private eye set in the 14thcentury of my alternate world. 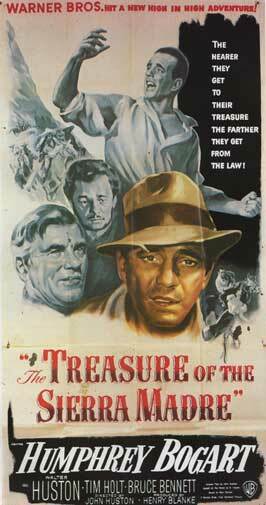 It is pulp-fiction, old-school sword and sorcery with a film noir twist. That’s one of the reasons for the subtitle, The Weird Tales of Dorgo the Dowser, and the retro look of the cover. But Dorgo’s dowsing rod is not used as a magic wand, (re: Harry Potter), nor can it be used as an offensive weapon. What the Dowser’s Y-shaped yew branch allows him to do is investigate crimes where the use of magic has been involved. With it, he can detect the ectoplasmic residue of any supernatural presence or demonic entity and sense the vestiges of sorcerous power used in the commission of a crime. This was the hook — the gimmick I’d hoped might set him and his tales apart from other sword and sorcery stories. But I didn’t come up with the idea for the dowsing rod until 21 years after the “birth” of Dorgo. I first created Dorgo’s character way back in the 20th century… 1977, to be exact. 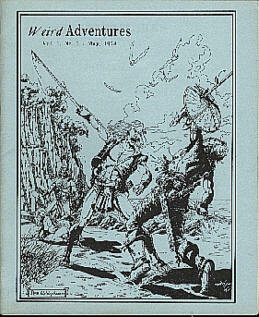 There was even a 12-page and very different version of the title story, “Mad Shadows,” that I sold to a small *fanzine* called Weird Adventures. I managed to write a book review or two for the publisher/editor, but the publication went belly-up before “Mad Shadows” could reach the public and payment could reach me. 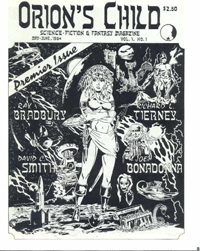 Years later, another fanzine, “Orion’s Child,” which had published two other short stories of mine, bought a second version of “Mad Shadows,” but they folded after their second issue, and Dorgo remained relatively unknown. I retired his character and turned to other things, mainly screenwriting. In 2008, when I decided to polish my Dorgo tales and collect them in one volume, I decided not to mold them into a novel by tying them together with a common plot thread. Instead, I linked them together with recurring characters, common elements and themes. Each of the six tales in Mad Shadows stands on its own. The opening story, “Mad Shadows,” is about gold-eating demons and the criminals who have devised a way to use them to rob the citizens of Valdar. The main themes are loss and betrayal, greed and revenge. This is the story that introduces the reader to Dorgo and his world. In this one, we meet some of the recurring characters, like Praxus the Beggar, a satyr who is one of Dorgo’s closest friends, and the sometimes meddling but always helpful Cham Mazo, a black war veteran and Captain of the Royal Constables in Valdar. There’s also a dark-skinned woman named Yaggy who almost walks off with Dorgo’s heart, and a gang of slavers that wants to walk off with his head. And almost do. “The Secret of Andaro’s Daughter” follows next. This is my homage to The Maltese Falcon. It’s about a dead necromancer’s coffer and the various characters that will stop at nothing to get their hands on what they believe it contains. We meet Urzool Lairo, a nine-foot cyclops with a sense of humor and a heart of gold, a troll named Glack Darano who knows a magic or two, a deadly and merciless faun assassin called a Vulkina, some hell-spawned devils, and three women who have Dorgo’s brains scrambled and spinning in all directions. But no one and nothing in this tale is quite what they appear to be. The third story, “The Moonstones of Sor Lunarum,” is about the theft of some very unique, other-worldly jewels, two inept but no less dangerous smugglers named Urlak and Ollo Blunker, a murdered witch, a series of vicious killings, a kidnapping, a hoax, and two very interesting women. Here we meet Heegy Wezzle, aka the Big Dwarf, another of Dorgo’s cronies; he manages a minotaur named Torok the Terrible, a popular professional wrestler. This is the tale that first introduces the hypogeum — the world beneath the Crimson Sand Arena. Dorgo also receives a very prophetic message from Jeke Teuqaj, a unicorn gladiator with a nasty temper. These three tales are what I call the “Valdar Stories,” because they are set entirely in the city of Valdar, where Dorgo lives and practices his trade. Each story has a rather light-hearted tone, in spite of all the mayhem, murder, and magic. But for the next three stories I decided to “open things up” a bit and explore my world. “The Man Who Loved Puppets” takes place in a nearby village, where Dorgo and Praxus are visiting their friend, a tough redhead named Cerisa Yonsa, and her young daughter, Tareena. Cerisa also happens to be one of the Dowser’s former lovers. During the course of the story we meet another minotaur, a retired wrestler named Oronis, and his son, the playwright Akramius. 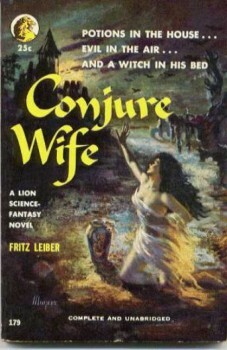 But it’s a witch who will do anything for her dead sister, a disgraced aristocrat named Yarlo Filp, an insane puppet master, a host of malefic marionettes, and a number of small children whose souls have been stolen that begin a cycle of darker, more dramatic stories. “In the Vale of the Black Diamond” is an old-fashioned adventure yarn that takes place in a lost world at the bottom of a haunted canyon where Dorgo and his childhood friend, Yozinda Andovo, lead a small expedition to find a magical jewel reported to have healing powers. But they get more than they bargained for when they encounter strange, prehistoric animals, witness the horrible deaths of their companions, and encounter Shemzu Oladar, an eccentric necromancer who is the sole survivor of a lost race from another dimension. And then there’s a curious little character named Ghula Drin — one of the clones bred by the necromancer to care for the dead. The sixth and final story, “Blood on the Moon,” is a sequel to “Black Diamond.” It’s also a grim tale of horror and family tragedy, wherein Dorgo and Yozinda return to her father’s village. We meet Yozinda’s crippled father, old Baron Jenko, her ailing brother Brid, Jinogi the big-hearted blacksmith, the gentle Doctor Kandar, and the lovely, exotic Nurse Rolka, a mysterious woman who never laughs or smiles. But the homecoming is not a happy one as Dorgo and Yozinda encounter sickness, revenge, and murder, and must confront a monster that has been preying on the innocent and helpless villagers. While the tales of Dorgo the Dowser are definitely grounded in sword and sorcery, I like to call them gothic noir. They’re filled with dark, macabre humor — gallows humor. 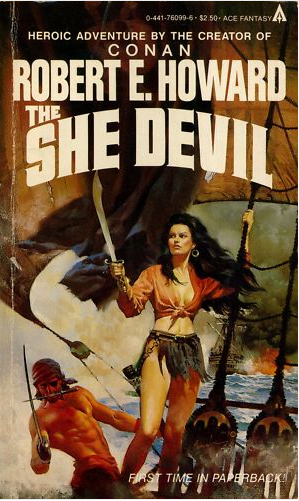 All my influences are in these stories: Robert E. Howard, Fritz Leiber, Raymond Chandler, Dashiell Hammett, Willis O’Brien, and Ray Harryhausen. There’s even a touch of H.P. Lovecraft in my creation of the Nine Realms of Otherworlds that compose the Echoverse of alternate dimensions, one of which is the realm of demons and supernatural entities. Sorcery, wizardry, witchcraft — these words have come to be almost synonymous in so many stories I’ve read. So I’ve come up with three basic schools of Magic: witchcraft, sorcery, and wizardry. Witches and warlocks don’t always have an animal familiar as a companion. But they have sold their souls to the Devil in return for the knowledge to call upon the infernal powers. Witchcraft utilizes the power of the Dark Light. Wizardry, on the other hand, is a religious avocation, wherein one must dedicate his or her life to serving God. Wizards draw upon the White Light for their powers. Sorcery is neither good nor evil, in and of itself. Sorcerers serve neither the Dark nor the White Light, but draw their powers from the Gray Light, and must use some form of magical tool. These three schools can incorporate everything from alchemy and the casting of spells, to necromancy and the invocation of demons. The use of staffs, rods, magic wands and other tools of magic is strictly a personal choice. Now, from where does this power emanate? There are ley lines that crisscross the world of Tanyime like an infinite number of invisible circuits and cables. These ley lines hum with the power of the planet, and they connect to the axial poles of Azimuth and Zenith. Wherever a number of these ley lines intersect, that place is known as a “sweet spot,” a place of powerful magic. 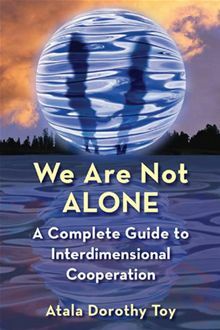 I just started fleshing out this theory after reading Atala Dorothy Toy’s We Are Not ALONE: A Complete Guide to Interdimensional Cooperation, where I learned about ley lines, healing crystals like kyanite and chiastolite, *smudging *(using smoke and crystals to heal and clear a home of negative energy), various forms of dowsing rods, and the American Dowsing Society. I will be delving deeper into all this in my next collection of Dorgo the Dowser tales. I was first inspired by Robert E. Howard and Fritz Leiber. Each wrote a style of sword and sorcery that has much in common with film noir. They wrote stories where heroes often walked in the shadows, where villains boldly operated in the harsh light of day as well as in the dark of night, and women were “more dangerous than crossbows,” to quote a line from one of my stories. There was a hard-boiled sensibility to their sword and sorcery that appealed to me. My other sources of inspiration are the timeless works of Raymond Chandler and Dashiell Hammett, and many of the cinematic versions of their great novels. 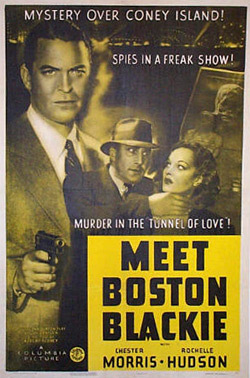 I was even influenced by the Chester Morris series of Boston Blackie programmers of the 1940s. Films such as The Treasure of the Sierra Madre, Night and the City, and even Casablanca found their way into the pages of Mad Shadows. Certain westerns had a hand in molding my Dorgo tales, most notably the Randolph Scott films directed by Budd Boetticher: 7 Men From Now, The Tall T, and Ride Lonesome, to name three of my favorites. Greek mythology, elements of the Roman Empire, and the Universal horror films also played a part in the adventures of Dorgo the Dowser. When I first decided to use mythical figures from Greek mythology — centaurs, satyrs, minotaurs, for example — I decided to turn many of them into characters straight out of Warner Brothers gangster films of the 1930s, which was also the heyday of pulp magazines. In my world of Tanyime, these mythicals originally came from our world, having fled the emergence of Christianity and other religions, but mostly because the human race was too savage and violent. Why should quasi-humans continue to live in a world where humans hate and kill their own kind over issues of skin color, religious differences, and the quest for wealth and power? I’ve always loved stories where the elusive fortune is found and then lost again as Fate steps in uninvited. I enjoy tales where the treasure slips through the fingers of both hero and villain. And I’ve been attracted to stories dealing with the dark underbelly of society, where clever and ruthless men are outfoxed by far cleverer and ruthless women—*femme fatales*with secret agendas—for as far back as I can remember. Such tales appeal to my sense of irony, to that cynical side of my nature, and my dark view of the world. And lest I forget . . . the dramatic and comedic possibilities in writing such stories are a veritable gold mine. So I put everything I knew, everything that had inspired me, and everything I loved into a literary blender . . . and out came Dorgo Mikawber, aka the Dowser. 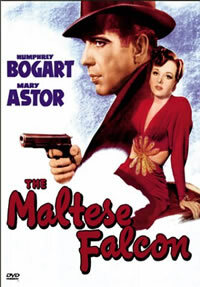 His character was born after watching The Maltese Falcon on television one afternoon back in 1977. His name came later that night, after watching another movie — Gorgo. For some reason I thought *Dowser *would make a great epithet for him, considering the trade I decided he would practice and the nature of the stories I had planned to write. About a month later, I finished writing the first version of “Mad Shadows.” But it wasn’t until 2008 that a flash of inspiration gave me the idea of using an actual dowsing rod as a tool in his investigations. That was the key to revising the old Dorgo tales, and in the creation of new ones. The Maltese Falcon and The Treasure of the Sierra Madre aren’t so much concerned about a jewel-encrusted statue and a mountain of gold — the former turns out to be a fake, the latter is scattered to the winds. No, the plots, the stories are about the characters and their quest for something of value. Without characters, you really have no plot. Without plot, you really don’t have much of a story, do you? It may seem strange to some of you that I combined so many cinematic elements with my literary influences and placed them in a sword and sorcery setting. But by doing so I hoped to create something that would be truly mine, unique in its own way, told with my voice and coming from the world I know and grew up in. It’s no different than using history, folklore, the Icelandic sagas, or any other source of influence and inspiration. My main goal has always been to entertain, and if I’ve succeeded in that, then I’m well rewarded. And if I manage to move you, to touch your heart, make you laugh and cry, even offer some insight and enlightenment, then I have achieved far more than I ever dreamed I might accomplish. 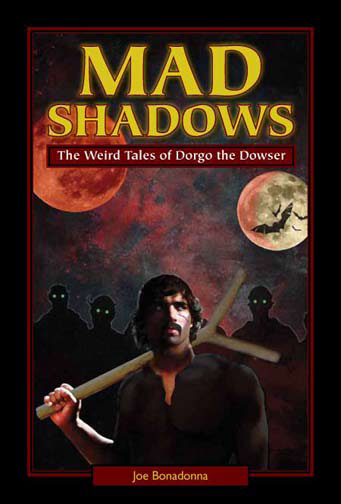 I enjoyed writing the stories collected in Mad Shadows: The Weird Tales of Dorgo the Dowser and I hope people will enjoy reading them. My book can be purchased from www.iuniverse.com, www.amazon.com, www.barnesandnoble.com, and other online retailers. It’s also available as an eBook for Kindle and Nook. I have just completed two new stories and have plans for a few more tales of Dorgo the Dowser. Keep your eyes open and your swords well-honed! Thanks for the opportunity to plug my book — and for all the great images, John!!!! Glad to have you Joe. Come back again soon! I’ll be back — sooner or later. As soon as I can come up with something new. Thank you!!!! !